The Government of India, the State of Rajasthan and the DISCOMs of Rajasthan (Jaipur Vidyut Vitran Nigam Limited, Jodhpur Vidyut Vitran Nigam Limited and Ajmer Vidyut Vitran Nigam Limited) signed Memorandum of Understanding (MOU) under the Scheme UDAY – “Ujwal DISCOM Assurance Yojana” today for operational and financial turnaround of the DISCOMs. The signing ceremony was held in the august presence of the Shri Piyush Goyal Union Minister of State (IC) for Power, Coal and New & Renewable Energy here today. Rajasthan is the third State to sign the MOU under UDAY, the other two States being Jharkhand and Chhattisgarh. The Scheme UDAY was launched by the Government of India on 20th November, 2015 to ensure a permanent and sustainable solution to the debt-ridden Distribution utilities to achieve financial stability and growth. The Distribution Utilities across the country have a long standing debt of almost Rs.4.3 Lakh crore. UDAY is an effort to make these DISCOMs financially and operationally healthy, to be able to supply adequate power at affordable rates, and enable the Governments to make efforts towards 100% Village electrification and 24X7 Power For All. By signing the MOU under UDAY, the DISCOMs of Rajasthan have taken the first step towards financial turnaround. The outstanding debt of the DISCOMs as on 30.09.2015 stands at Rs.80500 crore, out of which 75%, ie. Rs.60500 crore would be taken over by the State, as envisaged in the scheme. The scheme also provides for the balance debt of Rs.20000 crore to be re-priced or issued as State guaranteed DISCOM bonds, at coupon rates around 3% less than the average existing interest rate. The Rajasthan DISCOMs would have savings of about Rs.3000 crore in annual interest cost through reduction of debt and through reduced interest rates on the balance debt. 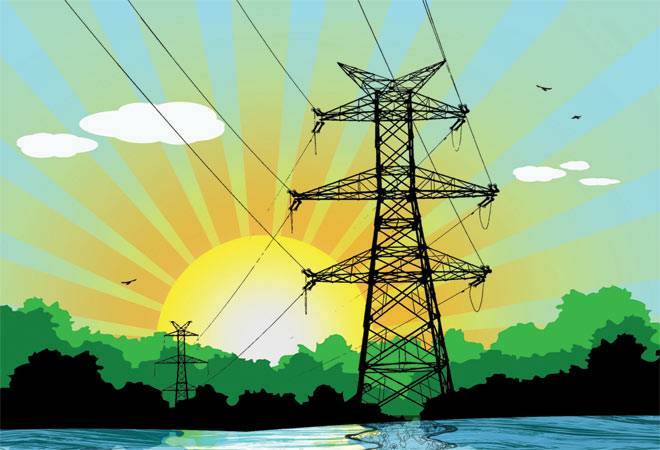 UDAY lays stress on improving operational efficiencies of the DISCOMs. The State of Rajasthan and the DISCOMs have committed to bring about operational efficiency through compulsory Feeder and Distribution Transformer metering, consumer indexing & GIS mapping of losses, upgrade/change transformers, meters etc., smart metering of high-end consumers, thereby bringing about reduction in transmission losses and AT&C losses. The gap between cost of supply of power and realisation will also be eliminated by FY 18. The reduction in AT&C losses and transmission losses to 15% and 3.5% respectively is likely to bring additional revenue of around Rs.7300 crore to DISCOMs till FY 19. Demand Side interventions in UDAY such as usage of energy-efficient LED bulbs, agricultural pumps, fans & air-conditioners and efficient industrial equipment through PAT (Perform, Achieve, Trade) would help in reducing peak load, flatten load curve and thus help in reducing energy consumption in the State of Rajasthan. The gain is expected to be around Rs.2000 crore till FY 19. The Central government would also provide incentives to the DISCOMs and the State Government for improving Power infrastructure in the State and for lowering the cost of power. The State of Rajasthan would get additional/priority funding through the Central schemes such as DDUGJY, IPDS, Power Sector Development Fund or such other schemes of MOP and MNRE, if they meet the operational milestones outlined in the scheme. The State shall also be supported through additional coal at notified prices and in case of availability through higher capacity utilization, low cost power from NTPC and other CPSUs. Other benefits such as coal swapping, coal rationalization, correction in coal grade slippage, availability of 100% washed coal would help the state to further reduce the cost of Power. The State would gain around Rs.3000 crore due to these coal reforms. With the financial turnaround through financial and operational efficiencies, the rating of the DISCOMs would improve, which would help them in raising cheaper funds for their future capital investment requirement. This is expected to provide interest cost saving of around Rs.150 crore to the DISCOMs in 3 years. Rajasthan would derive an overall net benefit of approximately Rs.21000 crore through UDAY, by way of savings in interest cost, reduction in AT&C and transmission losses, interventions in energy efficiency, coal reforms etc. The ultimate benefit of signing the MOU would go to the people of Rajasthan. Higher demand for power from DISCOMs would mean higher PLF of Generating units and therefore, lesser cost per unit of electricity thereby benefitting consumers. The DISCOMs would also increase power supply in areas with reduced AT&C losses. The scheme would allow speedy availability of power to around 396 villages and 30 lakh households in Rajasthan that are still without electricity. Availability of 24x7 power to hitherto unconnected villages/households etc. would increase the economic activity and improve employment opportunities. This MOU can see Rajasthan develop into one of the leading industrialised States in India. Signing of this MoU under UDAY will accelerate the process of reform across the entire power sector and will ensure 24x7 Power For All at affordable rate. In true sense, the scheme would also herald the UDAY (rise) of a ‘Powerful India’.